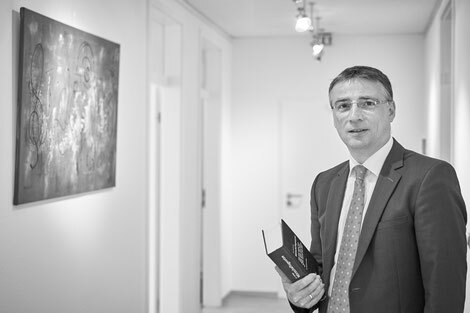 Hans-Jörg Matzenbach studied business administration at the University of Frankfurt am Main and worked in Frankfurt am Main at the partnership Schif & Sendelbach from 1991 to 1996. Hans-Jörg Matzenbach joined 1996 the partnership Dr. Rolf Matzenbach & Wilhelm Thier, Frankfurt am Main. Since their establishment in 1949, this long-established partnership is well-known for tax, advisory and audit services in Frankfurt. Following generational changes finalized in 2006, the former partnership has been continued by Hans-Jörg Matzenbach (independent tax consultancy) and Matzenbach & Rudolf Audit GmbH Wirtschaftsprüfungsgesellschaft.